A review conducted by the Consumer Action Law Centre has found that some online lenders providing ‘payday loans’ are reluctant to embrace the spirit of new regulations intended to provide consumers with sufficient warnings about the hazards of these loans. ‘Regulations are very specific about website warnings, dictating the specific wording to be displayed on a website, as well as the text size, font size, and placement of the warning information. Despite the requirements, our experience in reviewing websites found that we were not drawn to some warnings—lessening the impact of these important legislative protections,’ said Gerard Brody, CEO of Consumer Action. Consumer Action is concerned at the results from the review, and urges the Government to resist any attempt to wind back regulations that protect the most vulnerable consumers who are the target market for payday lenders. Not requiring consumers to acknowledge warnings before accessing a loan application. This suggests an important role for the regulator to ensure lenders comply in good spirit. ‘Payday lending websites regularly change. The Australian Securities and Investments Commission (ASIC) needs to be vigilant in checking lender websites are compliant, and act swiftly where warnings are missing or inconsistent with regulatory requirements’, continued Mr Brody. ‘Among its regulatory powers, ASIC has the power to suspend or cancel credit licences for non-compliance with credit legislation. Taking enforcement action would send a clear message to the industry that a credit licence is a privilege not a right, and that abiding by the law is a basic requirement for all licence holders’, he concluded. 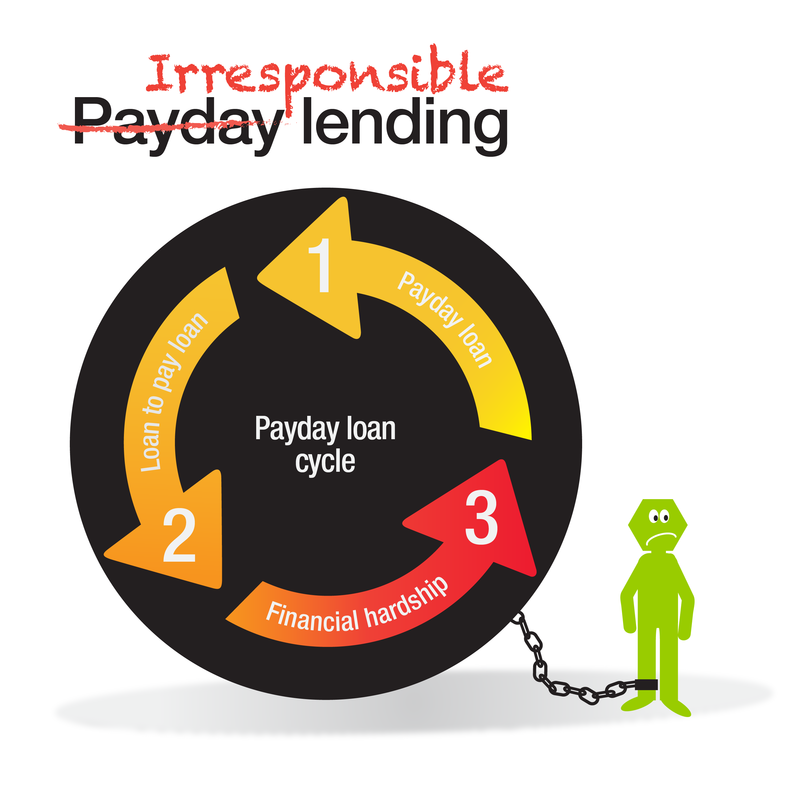 Payday loan customers are often vulnerable, low-income Australians who take out these expensive, short term, high interest loans to pay for basic living costs. Many borrowers become reliant on these loans and can’t find their way out of debt. Web warnings asking if the applicant really needs a loan and promotion of free financial counselling services were a key part of recent reforms to protect these borrowers. Warning requirements have existed since March 2013, in addition to the introduction of a limit on fees (which came into effect in July 2013), and new measures to stop borrowers taking out loan after loan. Bans have been enacted in Dudley and Warrington Borough in England, and Monmouthshire and others in Wales for example. New York State’s Department of Financial Services website states: “Payday loans are illegal in New York State. It is a violation of New York State law to make payday loans in-person, by telephone, or over the Internet. It is also illegal for a debt collector to collect, or attempt to collect, on a payday loan in New York State”. In late September, it was reported that the New York Attorney General’s office had reached settlements with five companies over charges of violating the state’s usury and licensed lender laws through the collection of payday loans.